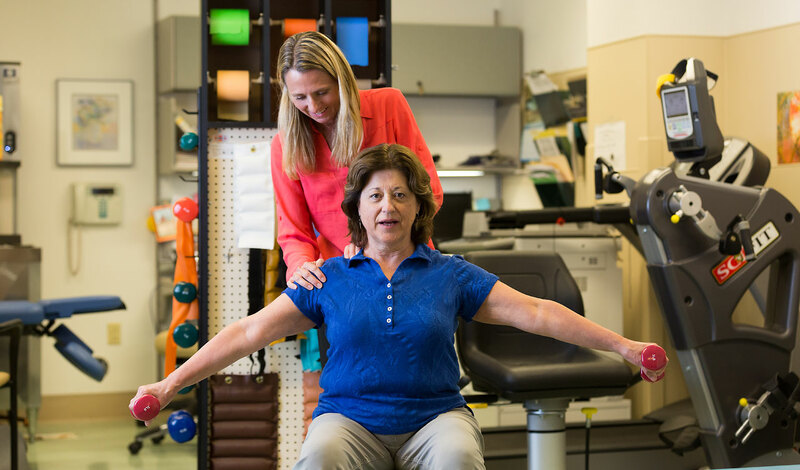 Count on UNM Health System in Albuquerque, NM, for comprehensive care and treatment of movement disorders, including Parkinson’s disease, essential tremor, dystonia, tics and ataxia. You’ll benefit from a wide range of experts, including movement disorder specialists, sleep specialists, psychiatrists, physical therapists and speech therapists. Find the support you need to manage your condition while making the most of your life. BOTOX® injections to treat dystonia by preventing muscle contractions and spasms. If you have Parkinson’s disease, improve your physical abilities and quality of life with specialized, evidence-based care and treatment from our expert physicians. The Parkinson’s Disease and Movement Disorders Program at UNM Health System offers consultation with a Movement Disorder Specialist, which is a neurologist who has expertise in the diagnosis and management of movement disorders including Parkinson’s disease, tremor, dystonia, tics and ataxia. We also provide access to a network of providers such as sleep specialists, psychiatrists, a movement disorders nurse, physical therapists and speech therapists. Team members are focused on the common goal of improving quality of life and control of symptoms for people living with movement disorders. In addition to the medical management of movement disorders we offer surgical options in collaboration with UNM Neurosurgery for the treatment of Parkinson’s disease and tremors. We also offer botulinum toxin injections for patients with dystonia. If nonsurgical treatments don’t relieve your symptoms of Parkinson’s disease, essential tremor or dystonia, you may benefit from deep brain stimulation. This advanced treatment places electrodes in your brain and connects them – via a wire under the skin – to a small device implanted in your chest. This device, called a neurostimulator, sends out painless electrical pulses to block nerve signals that cause your symptoms. To find out whether you qualify for deep brain stimulation, you’ll meet with a movement disorder specialist for an evaluation. If you receive surgery, see your movement disorders team regularly for follow-up care. We’ll adjust your neurostimulator settings as needed so you get the most benefit from your device. Find multidisciplinary care at UNM Health’s Huntington’s Disease Clinic. You may meet with a neurologist, psychiatrist, social worker and rehabilitation professionals for specialized guidance that helps you manage symptoms of Huntington's Disease. For more information, call 505-272-3160.